Please click me to select. Departure from Chinatown and head to the province of New Brunswick. 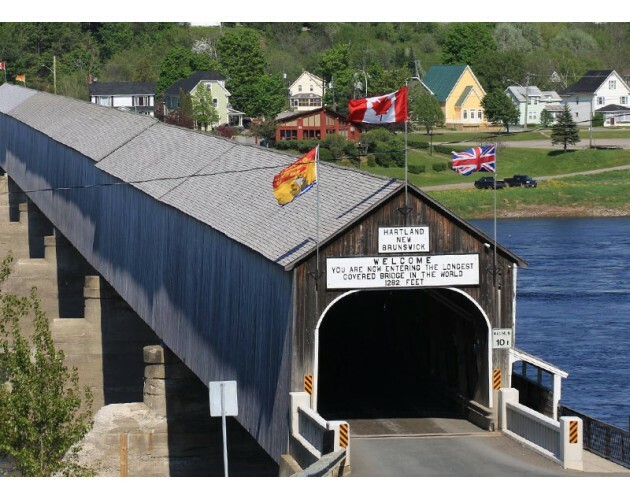 After lunch, visit the most renowned Covered Bridge Potato Chips of eastern Canada. You will have a better understanding of the production of potato chip. You must try the fresh-made chips, especially those in Poutine avor. Then we visit the world’s longest covered bridge: Hartland Covered Bridge. 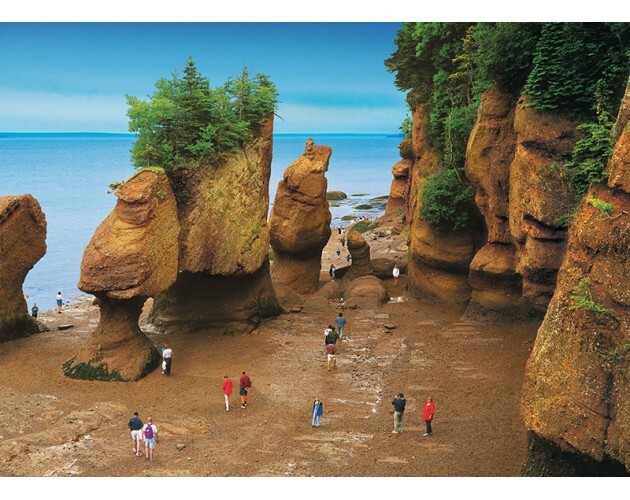 After breakfast, visit Hopewell Rocks national Park, admiring the world’s highest tides and the breathtaking socalled “Flowerpot Rocks”, formed by tidal erosion for millions of years. Afternoon, we will go to Halifax. 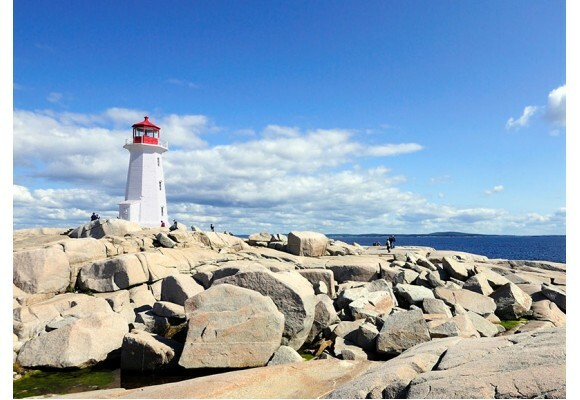 Upon arrival, we will savor the earthshaking waves hitting granite boulders, and the historic Peggy’s Cove Lighthouse. 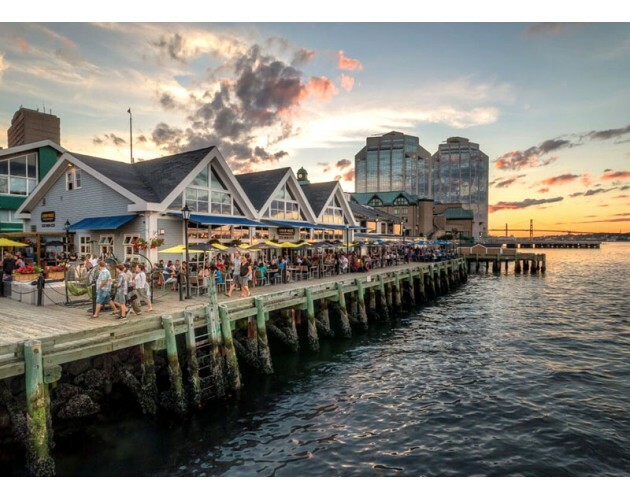 Take a tour in the city and see through the history of the port of Halifax, one of the most important entry points for immigrants into Canada. 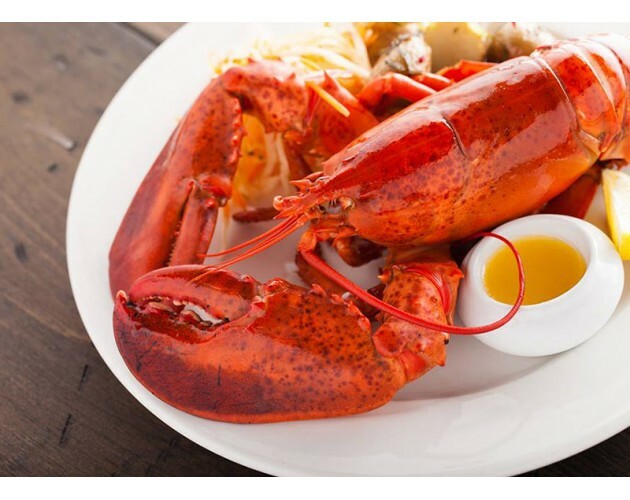 We will have a chance with a delicious lobster dinner. After breakfast, departure for Cape Breton, a national park in easternmost Canada. Lead by the tour guide， you can feel the horizon stretches out to infinity and to marvel at the magnificent views of the mountains and the expanse of the ocean along the way, and at the vibrancy of winding rivers and lush forests. 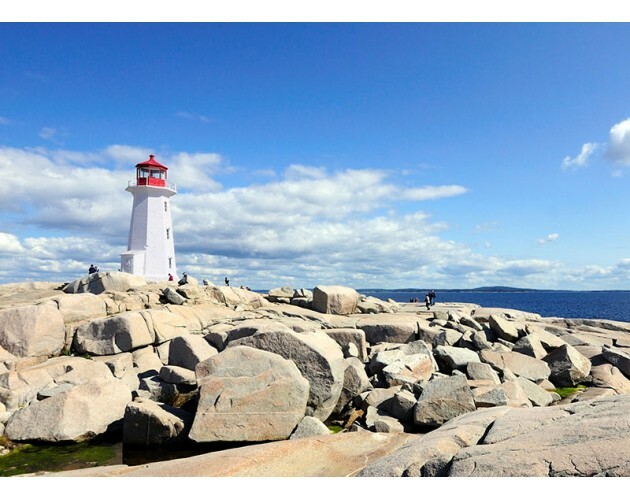 In the morning, take the luxury Atlantic Cruise of NFL to Prince Edward Island (* According to the schedule of the ferry company or across the federal bridge), enjoy the Atlantic view. 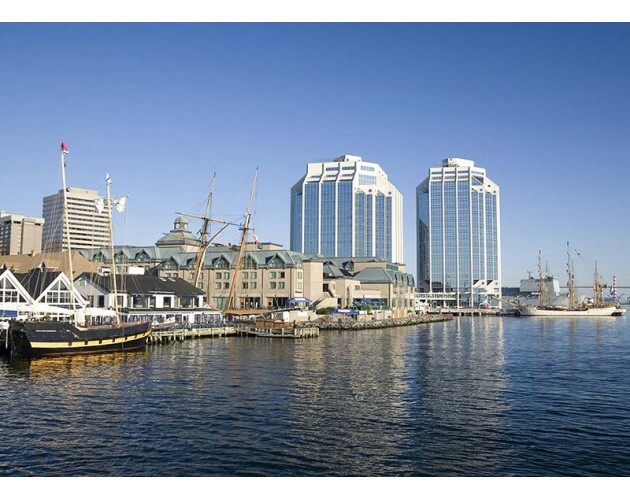 When arrive, we’ll go to Charlottetown, the capital of Prince Edward Island (P.E.I.) and the birthplace of Canada for the visit to Province House. We will then visit the romantic house “Anne of Green Gables” and Cavendish Beach, filled with red sand. After enjoying a delicious meal of lobster, install in the hotel in P.E.I. 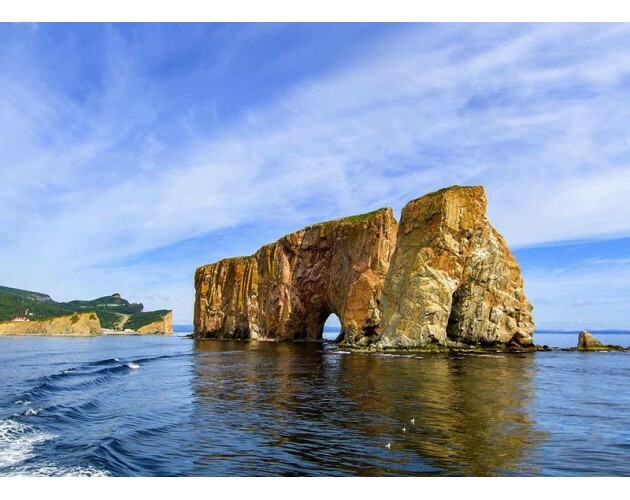 Leave Prince Edward Island through the Confederation Bridge, which was once the world’s longest cross-sea bridge for the photos and souvenirs. We will then arrive in Shediac, the small town knows as “Lobster Capital of the World”. You have chance to see the world’s largest lobster over there. Then drive to the Magnetic Hill in Moncton of New Brunswick, you will surely unveil its mystery of the hill. Afterwards, head to Kings Landing, a village where you can step back in time (1780-1910) with a community of costumed characters in 70 historic buildings. Install in the hotel in Riviere-du-Loup. Depart to Rivière-du-Loup, we will take 3-hours cruise for the Whale watching in St. Laurence river. Back to Montreal and arrive at 8:00 pm around. Prices include the client's contribution to the Indemnity Fund amounting to $1.00 per $1,000 of travel services purchased. *Admission tickets bought through sellers other than Concord Tours and Travel (e.g. City Pass) are not applicable to Concord Tours and Travel. We strongly recommend you purchasing travel insurance. Other provinces or countries: Please contact us! 1. All tours are open for early booking, Travel Agency suggests that each passenger should book tour at least 2 weeks before departure date. Passengers are responsible for all visas, entry, health and other requirements and any document required by laws, regulations, orders and /or requirements of countries visited. All passengers traveling abroad require a Passport, valid for 6 months beyond the conclusion of their trip and with appropriate visas. Multiple-entry visas are required for some countries. It is the responsibility of each passenger to have a valid Passport and necessary visas, as well as to comply with entry, health or other requirements of the countries visited. Travel Agency is not responsible for passport, visa requirements, entry, health or other requirements of the countries visited or for any loss sustained by passengers for failing to comply with laws, regulations, orders, and/or requirements of countries visited. 2. A 50% deposit of the entire tour fee is required at the time the reservation is made. Full payment is required to pay 7 days prior to tour departure. All deposits and full payment are non-refundabie and are not transferable to other passenger or other tour. 3. Travel Agency reserves the right to cancel the reservation should payment not be received within the above-specified periods, and all payments previously made will not be reminded under this circumstance. 4. Only cash, bank draft or certified cheque will be accepted for any payment made within 14 days of tour ueparture, personal cheque will not be accepted. 2. Transportation via flights, train, ferry cruise & coaches. 3. Tour guide: service ot professional Chinese/English or French speaking tourguide. 4. Baggage: One piece of check-in baggage maximum weight 20Kg (44lbs) per person with dimensions not exceeding 29'x20'x10’, and one piece of carry-on baggage per person. 1. All seats will be pre-assigned after payment is made based on a first come first served basis. 2. Due to Motorcoach insurance Policy, passengers over 2 years of age must purchase ticket in order to occupy sea|s.
. For long tours (6 days or more) cancellation within 20-30 days prior to departure, charge 20% of total price.
. All cancellation within 7 days prior to departures, for short trips (5 days or shorter) or all cancellations within 20 days prior to departures for long trips (6 days or more) are not refundable. 1. Travel Agency acts only as an agent. We reserve the right to substitute hotels, and alter itinerary, withdraw any tour and make any desirable alteration for the convenience of the operation of the tour. Travel Agencyreserves the right to cancel the tour prior to departure for any reason. By accepting tour policy, passenger should agree that Travel Agencyshall hold no responsibilities in itinerary alterations, delays or cancellation strikes, sickness, theft, loss, accidents, weather or any other causes. 2. All baggage and personal belongings are at all times at the passengers' own risk. The carriers, hotels and other suppliers who provide services on tour are independent contractors, as such, their security policies will be respected. 3. Travel Agency shall be responsible for the passengers for supplying the services and accommodations described in the brochure, except where such services cannot be supplied or the itinerary used is changed due to delays or other causes of whatever kind or nature beyond the control of Maple Tour. In such circumstances, Travel Agencywill do its best to supply comparable services, accommodations and itineraries and there shall be no refund in this connection. 4. Passengers are responsible to observe the laws, regulations, orders and/or requirements of countries visited. Travel Agencyassumes no responsibility for any passenger rejected to enter the countries visited. In such circumstances, there shall be no refund for the unused portion of the tour. 5. Passengers are required to respect the tour schedule. Each passenger should get to the scheduled pickup point 15 minutes prior to the departure time. On or during the tour, if any one fails to show up on time, the maximum waiting time will be 15 minutes. If no show-up, unused services will be neither refundable nor exchangeable. 6. Travel Agency is pleased to accept requests of individual arrivals or departures for independent travelers, however, Travel Agencywill not be responsible for any loss sustained by passengers for any missed portion of your or hotel accommodation caused by traffic delay or delay in any nature. 7. Travel Agency reserves the right to refuse to carry anyone who conducts himself or herself in such a way so that his or her behavior is disturbing to either the tour or other passengers to such as extent that could interrupt the tour. According, we are not responsible for passenger's conduct after the completion of the tour. Should any passenger be asked to leave the tour, the balance of the tour fee will not be refunded. 1. Travel Agency constantly strives to improve tour itineraries and features. If such improvements can be made, or unforeseen circumstances which is beyond our control, Travel Agency reserves the right to make changes such as to vary itineraries, to substitute hotels, to cancel or re-schedule tour departure as deemed to be appropriate. Furthermore tour price will be adjusted according to the extension or abridgement of travel period. Passengers shall not use this as an excuse for an objection. 2. Tour prices are based on costs of airfares, hotel rates, transportation charges, admission fees, and exchange rates at time of press, said tour price might be subject to change without notice. Should any of these cost changes, Travel Agency reserves the right to adjust the tour price before tour departure, total amount of adjustment may up to 75%. Nevertheless, this does not apply to passengers with full payment at time of adjustment. 3. For USA tours, valid Passport (valid for 6 months after the return date) and valid visas (Canadian and American) are required (except countries in the Visa Waiver Program). The traveler who been refused entry by customs because of personal travel documents problems will be obliged to leave the group from U.S. border and the return fee will afford by their own. Your reservation with us for all the tours confirms that you have read, understood and agreed to each and all of the above conditions and limits on responsibility.